Proudly presented by Mosaic "Trusting in us to CULTIVATE the Dream"
For over 30 years the Plant City Dr. MLK Cultural Arts Festival has promoted increased diversity awareness and opportunities for citizens of Plant City and surrounding West Central Florida to actively engage in gaining knowledge, and history of African culture. Currently leading this effort is the 16 year Tampa Bay Black Heritage Festival, providing 21 days of cultural experiences in partnership with the City of Tampa, St. Petersburg and City of Plant City. The Plant City MLK Festival has worked with the organizers of the Tampa Bay Black Heritage Festival for 13 years now. The first festival was held January 1986 in celebration of President Reagan signing a bill in 1983 designating the third Monday of January as a federal holiday honoring Dr. Martin Luther King Jr.
During its inital 10 years the four-five day cultural event was held in Plant city during the week leading up to the Dr. King Federal Holiday. Activities started on Thursday and ended on the federal holiday "Monday". 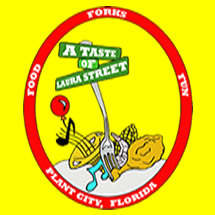 The Improvement League of Plant City, CDC is the organizer and host of this festival located in Plant City, Florida. The Improvement League is a local 501c3 public charitable (non-profit) organization founded in 1982 by the late Mr. Jerry Bailey to provide educational, social and cultural resources to empower the community. 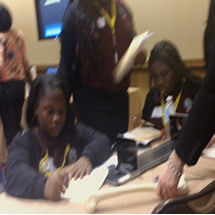 Each year the Improvement League of Plant City, CDC., operates several community programs that include Striving for Excellence Academy CSI Junior Forensics Class, Plant City Bing House Museum, Safe and Sound Hillsborough, collaborations with Plant City EDC, Photo Archives, Laura Street Revitalization, and the Annual MLK Festival established in 1985. 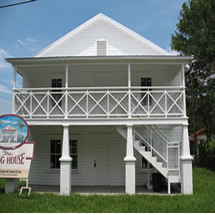 Plant City Bing Rooming House Museum serves as a beacon of hope while reflecting on the triumphs of the past. This museum now houses some of the most cherished treasures, history and accounts of former Laura Street Black Business District that once thrived with shops, restaurants and businesses representing Plant City’s Lincoln/Madison neighborhoods. The museum serves as a living history with stories that connect to youth whom are descendants of those from the local civil rights era. Entrepreneurial spirit, education, and instilling pride in oneself and family are the key trademarks to community revitalization. Some of Florida’s most accomplished trailblazers to include the late Mr. E.L. Bing, first African American Assistant Superintendent and former principal, educators, farmers, sports players, mine workers, lawyers, and doctors such as O.A. Joyner come out of this area. These preserved legacies will serve as a guide for today’s youth. Improvement League Board of Directors and members donate over 2,000 community service hours and in-kind labor each year. 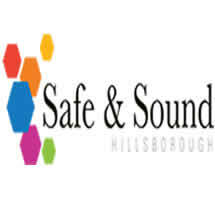 Examples include maintaining the property of the museum, hosting the MLK Festival, donating instruction time to youth, and representation serving on the Board of Directors with- Photo Archives & History Center, Plant City Chamber of Commerce, Hillsborough County Community Action Board and United Food Bank of Plant City (nutrition & self-sufficiency). League Board Members personally donated to fund our membership as an investor with the Plant City Economic Development Corporation.. 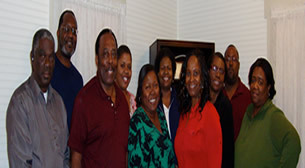 The Improvement League of Plant City was founded by the late Jerry Bailey in 1982. The League was formerly known as the DADDs Club which served as a civic action and mentoring group for the students at Marshall High School. Since that time the League has transformed from a civic action group to a non-profit in 1998 increasing its capabilities to serve the neighborhoods of Lincoln & Madison Parks. Now the League has become a Community Development Corporation further increasing it capacity to assist in addressing community revitalization efforts throughout the City of Plant City. The individuals all serve in a volunteer capacity donating over 2000 hours each year. This equates to over $750,000 in professional services (salary).